Well, I’m not sure I need to say too much here. 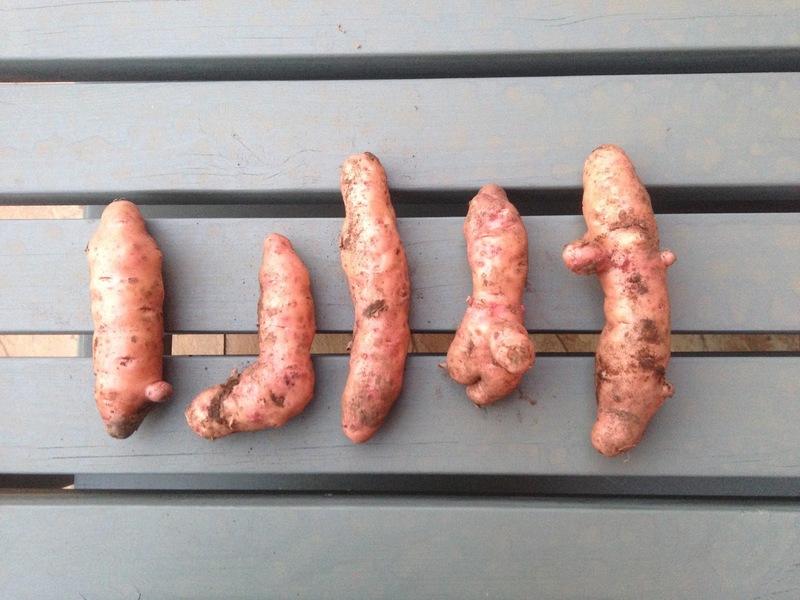 I’ve just dug up my Pink Fir Apple potatoes. The shapes are great, every single potato is a different knobbly shape. They are great for salads, the skins are a lovely shade of pink, so they add a little colour…they also provide a few laughs!